What is a Customer Appreciation Strategy, and Why Do I Need One? How do you feel when someone appreciates you for the effort you make? It feels nice, doesn’t it? That’s the kind of feeling you would like your customers to associate with you. You don’t need to be reminded of the importance of keeping your customers happy. However, with the constant demand to deliver new prospects and generate leads, companies can fail to dedicate the proper amount of focus, time and effort to existing customers. And as a business grows they tend to focus on scaling, processes and acquisition and in turn become more impersonal and colder towards their customers. As a result, the customers they have suffer being just another number on a spreadsheet. And do you know what happens to customers who do not feel appreciated? In fact, 68% of customers leave because they believe the business does not care about them. Would you leave a company if you felt they didn’t care about you? Or if they didn’t even acknowledge your customer service request? Keeping your customers happy is about making them feel like you care about them. Making them feel valued. Making them feel appreciated. If you take care of your customers, they will take care of your business. This can be put into practice by applying a customer appreciation strategy, which can actually become one of the most important achievements of your company. What is a Customer Appreciation Strategy? A customer appreciation strategy is defined as a marketing strategy adopted by companies to reward its loyal customers. These rewards are mostly aimed at existing customers. A study by Andy Fred Wali and Bright C Opara found that a customer appreciation strategy influences customer loyalty and advocacy, which in turn led to increased sales growth. Why do I need a customer appreciation strategy? How people feel about you and their willingness to do business with you are closely related. In the eyes of your customers it’s all about them. If they feel valuable to you and are treated with care and attention, they are more likely to become loyal. Customer appreciation is a measure of a company’s efforts toward its customers. It reflects a proactive approach to engaging customers that make a difference in your company. And showing how grateful you are to a customer for their business is the foundation of a customer appreciation strategy. Not only will being grateful make your customers feel appreciated, but a study by Sonja Lyubomirsky at the University of California found that gratitude accounts for 40% of a person’s happiness – so not only are your customers happy, but your team will be happy too! Increased value in the market. Companies who have more satisfied customers tend to have better reviews and feedback compared to those who don’t. That’s how you get a competitive advantage in the market and in the eyes of potential customers who are in the search of choosing the right vendor. Increased customer loyalty. Truly loyal customers love your products and services. They enjoy the relationship they have with your company and the people who work in it. These customers would never dream of doing business with someone else and the price is not an issue. A customer appreciation strategy becomes a critical ingredient to increasing the number of loyal customers, because they give a reason for your customers to fall in love with your company. Increased profits. It’s six to seven times cheaper to sell to an existing customer. If you succeed in making your customers feel special, they will come back for more. 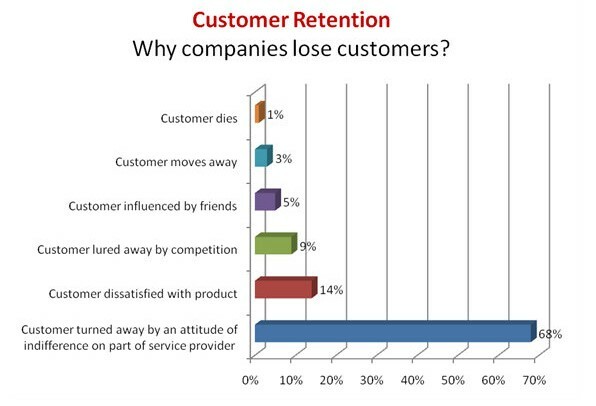 Customer profitability tends to increase over the life of a retained customer. And since your customers trust you, they are more likely to purchase more products or services. How to get started with a customer appreciation strategy? The first thing to consider when you start creating a customer appreciation strategy is whether you have a full-scale list of your customers. A well maintained centralized customer database is a foundation for all your further actions. If you use CRM system, you should register all your customers with their e-mail and postal addresses as well as all your interactions with the customers. This way, the database helps you track and moderate all the interactions you have with your customers and identifies their behavior. When you have a good tool to manage your customer information you are ready to create winning customer appreciation strategies to make them into long-term customers. It’s common for businesses to forget their customer after a deal is made. Once the contract is signed, it’s on to the next one, right? But customer loyalty is not about what got your customers to buy from you the first time. It’s what gets the customer to keep coming back. If you want your customers to return, you need to give them a good reason to do that. 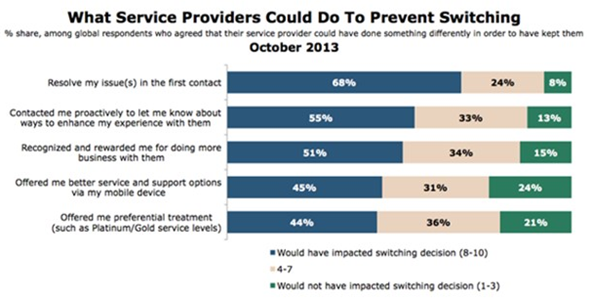 When asked what service providers could do to prevent switching, 55% of more than 12,000 surveyed respondents said that had a company contacted them proactively to enhance their experience, it would have impacted their decision as to whether or not they switch provider. The secret lies in being not only a vendor, but a partner to your customers. And you become a partner by making your customers feel important. Not only up until a deal is made, but also after the sale. By having some personal contact with your customers regularly you will show that you really care about them and that you appreciate their choice to do business with you. For example, you can follow up with email or a phone call, just to ask how they are doing and what is their experience with their product or service is going so far. If you are in business-to business sales, contact your customer anytime they are featured in a website or article or achieved some success in their company. Providing good after-sales communication is the key to showing your customers you want to build long-term relationships with them and earn their loyalty. I just wanted to say thank you for being a [your company] customer! If there’s anything I can do for you, reply to this email. Make a few small edits to the above template and click send. It’s as simple as that. Businesses spend a lot of time and effort in promoting themselves, but you can actually build loyalty and inspire positive behavior from your customers by promoting them or their businesses along with your own. If you have a website, include your customer profiles that show how your clients are using and benefiting from their relationship with you. 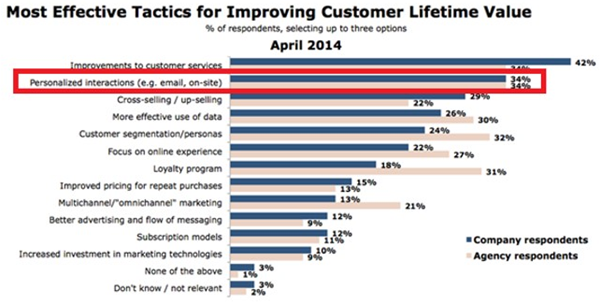 If you have a newsletter, share some of your customers’ success stories. 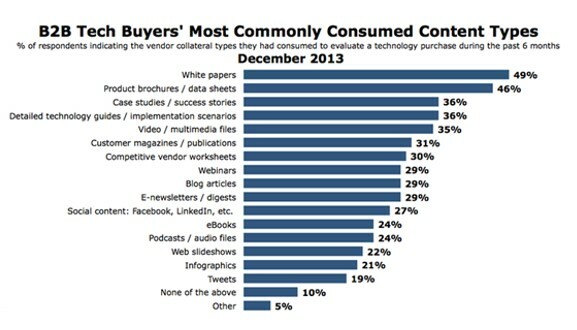 Not only will your customers appreciate you for this, but this is exactly what future customers are looking as 36% of B2B tech buyers are looking for case studies and success stories for when it comes to evaluating new technologies. By promoting your customers you will show that you are more than a vendor; you are also a partner, and the customers you honour will feel significant and thankful that you have noticed their efforts. Are you on Twitter, LinkedIn or Facebook? Now, share it with your social network. Easy! We don’t have to be selfish, but we are all self-interested, and so are your customers. Appealing to your customers’ vanity and making them feel special can pay off with customer satisfaction and increased loyalty. Best of all, it makes them feel important. And who wouldn’t like to feel like they are VIP? And this can be followed by some more VIP treatment, by including an exclusive invitation to a conference within the email. Or maybe go one step further and give your customers access to an exclusive online sale or early VIP access to your product or services. By doing this, you bring in an element of personalization, which is one of the most effective tactics to improving customer lifetime value, as found in Econsultancy’s and Sitecore’s Building Loyalty and Driving Revenue in the Digital Age report. A VIP service is not so much about what you want to give, but more about what the other person wants to receive. 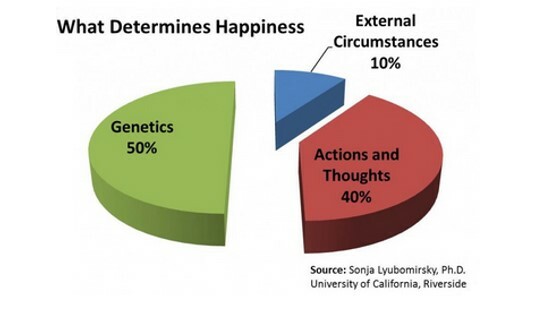 A study by Frank Flynn found that it’s not the cost of the gift that matters most, but the thought itself. Doing any (or all) of the above will show your customers how much you appreciate them. Attracting new customers often overshadows a customer appreciation strategy, but this is starting to shift as B2B marketers’ are now being held accountable for keeping more customers. And with numbers from Bain and Company reporting that acquiring new customers is seven times more expensive and that retaining as much as 5% of customers can lead to almost doubling a company’s profitability, it’s easy to see why! Figure out what will make your customers feel that they are important to you and then aim to create a proactive strategy to let customers know how much you care about them. If you make customer appreciation a consistent theme in your work, customers will take notice, which means they are more likely to come back and even share their positive experience with others. Use the tips and templates provided in this post to create your customer appreciation strategy and watch your sales and profits begin to sky rocket! Will you use the templates provided above to say thank you to a client or promote your customers? Do you have a customer appreciation strategy? If so, tell us how it’s working out for you in the comments section below. P.S. Are you happy with level of service you provide to your customers? Check out the customer service benchmark report below to see how you compare! Toma is a content marketing specialist at SuperOffice. As a former Communications Manager and graduate from the University of Oslo, Toma likes to write about all things CRM. You can connect with Toma on LinkedIn. A good guide to help with our own client retention. Thanks very much for the templates and solutions. Great points, Jodi! Thank you. P.S. I love this "Paying attention to the individual clients is key! ".